 We can be reached via e-mail at action@actioncti.com or you can reach us by telephone at 281-364-3710. We request information from you on our order form. To buy ESI Telephone System, Voip Telephone System, Structural Network Cabling, Voice Cabling, Data Cabling, or Fiber Optic cabling, Telephone System Service from us, you must provide contact information (like name and shipping address) and financial information (like credit card number, expiration date). This information is used for billing purposes and to fill your orders. If we have trouble processing an order, we’ll use this information to contact you.